Following the initial release of ENABLER’s acclaimed second LP, La Fin Absolue Du Monde — which hit the streets in May via an alliance between The Compound and Creator-Destructor — the album will now see an official European release through Century Media, as the band has officially signed with the label. We at The Earsplit Compound are stoked to see our close allies in ENABLER get hooked up with an amazing worldwide deal with a label like Century Media and can’t wait to see them remove many faces live and on record through the New Year. While European fans await the Century Media reissue of the album, those based in North America can order La Fin Absolue Du Monde now, the first pressing of the LP version from The Compound available on black/white/Orange Crush splatter, limited to 250 copies, in a wide-spine, uncoated jacket with a digital download code included, the CD housed in a high-quality, six-panel digipak. Additionally, The Compound released ENABLER’s previous Flies EP, which is also still available on digipak CD (for a mere $5) and on limited import 12” LP courtesy of a licensing deal with London’s Holy Roar Records. Order all physical versions of both releases HERE. 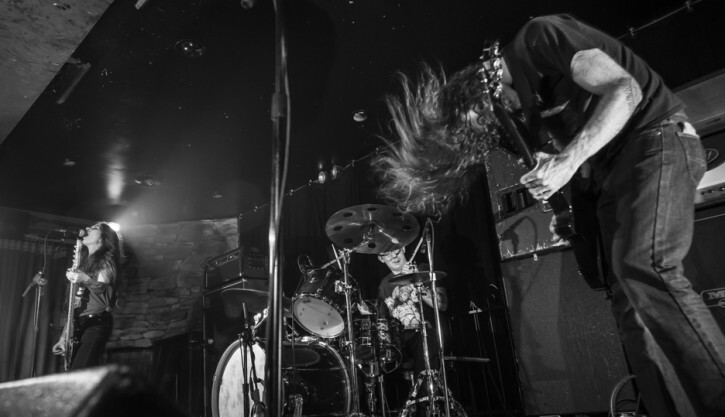 Watch ENABLER’s “Close My Eyes” video via Metal Injection AT THIS LOCATION.